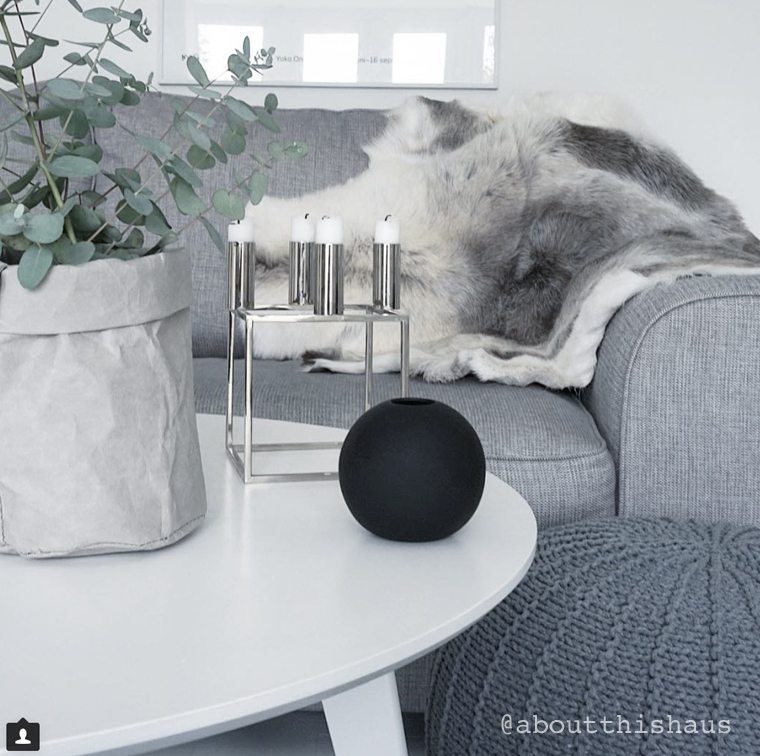 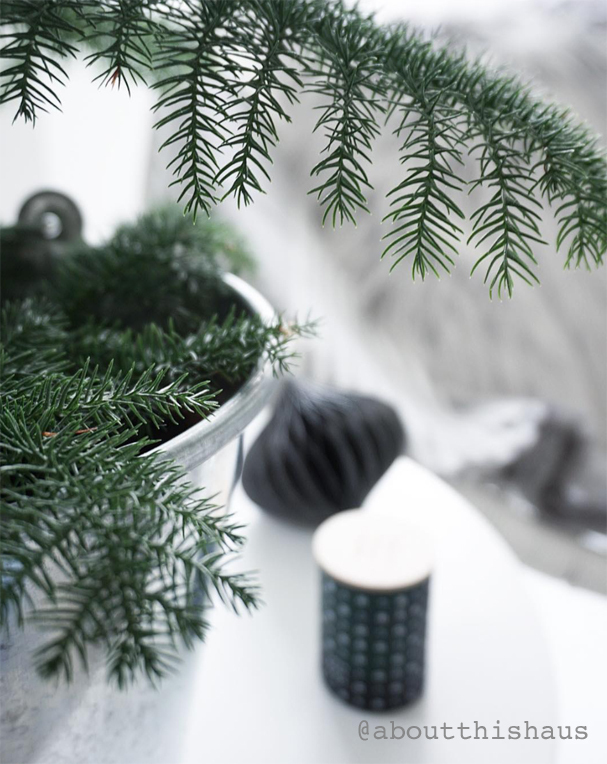 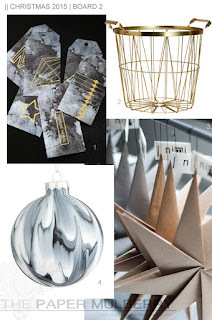 Notes: The modern Scandinavian inspired home of UK based blogger Denise from About this Haus. 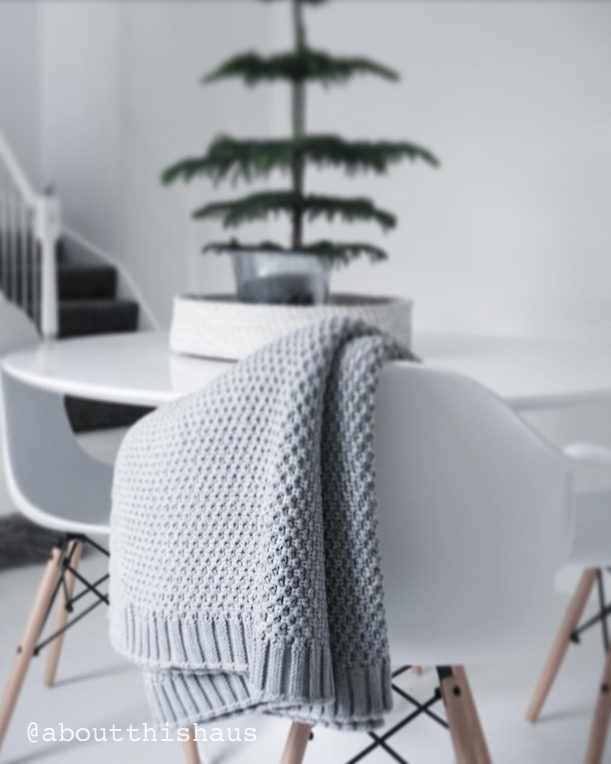 Denise (or 'D' as she's known to her friends) shares her gorgeous Scandi chic home, resources and interior stying tips with many of her instagram photo's having click link details of where to buy. 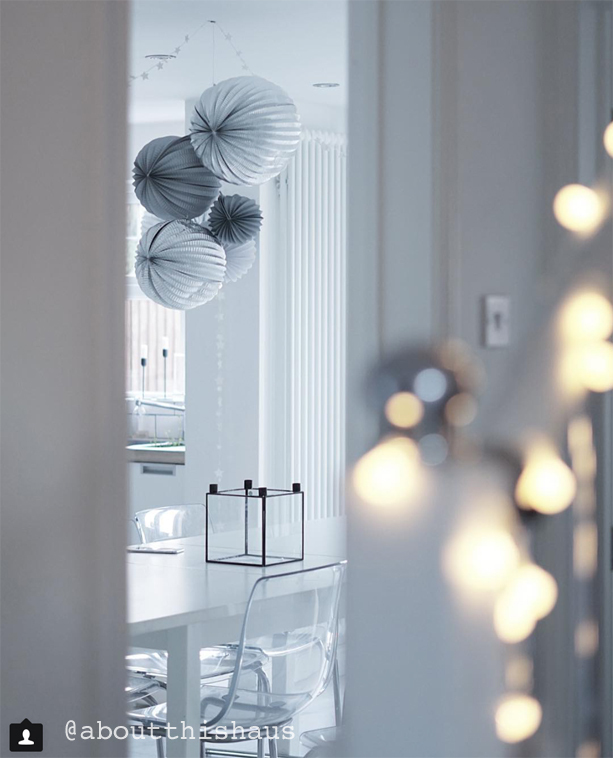 Here is a glimpse of her stunning home at Christmas. 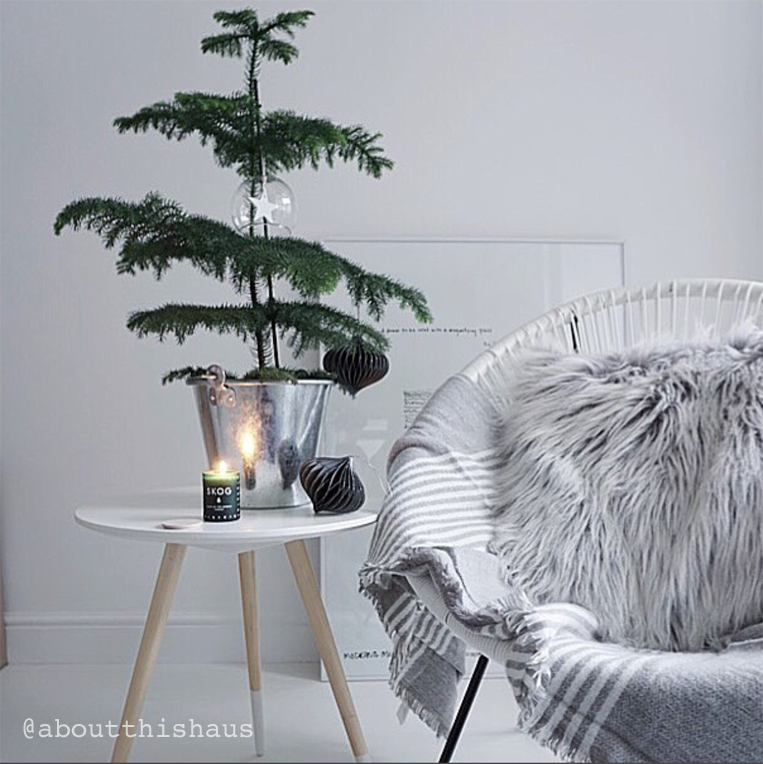 Above image: About this Haus chunky grey knitted throw, fresh Christmas foliage intertwined with berry lights sparkle against a pure white living room. 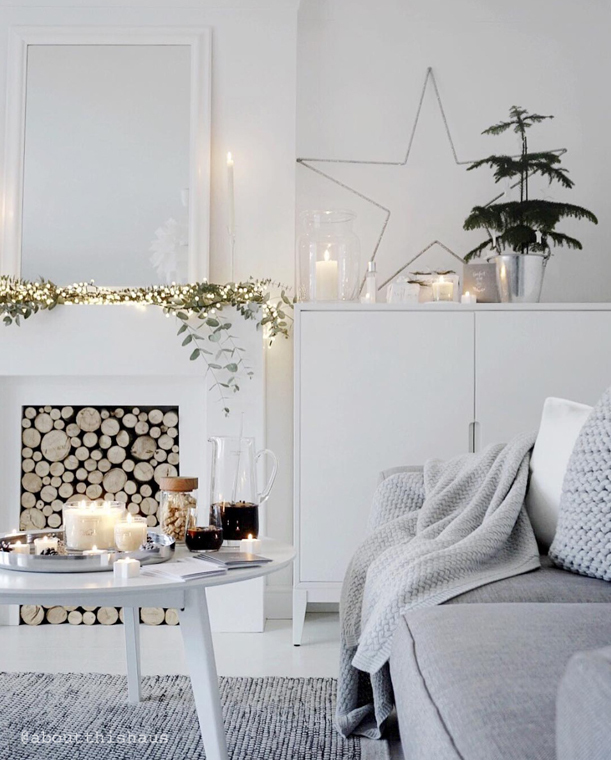 Stacked birch logs fill the fireplace and scented candles from The White Company fill the air. 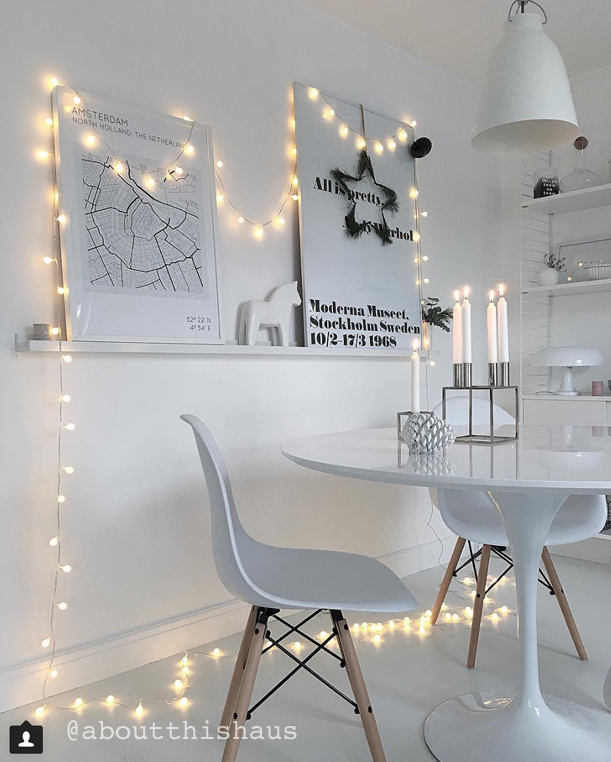 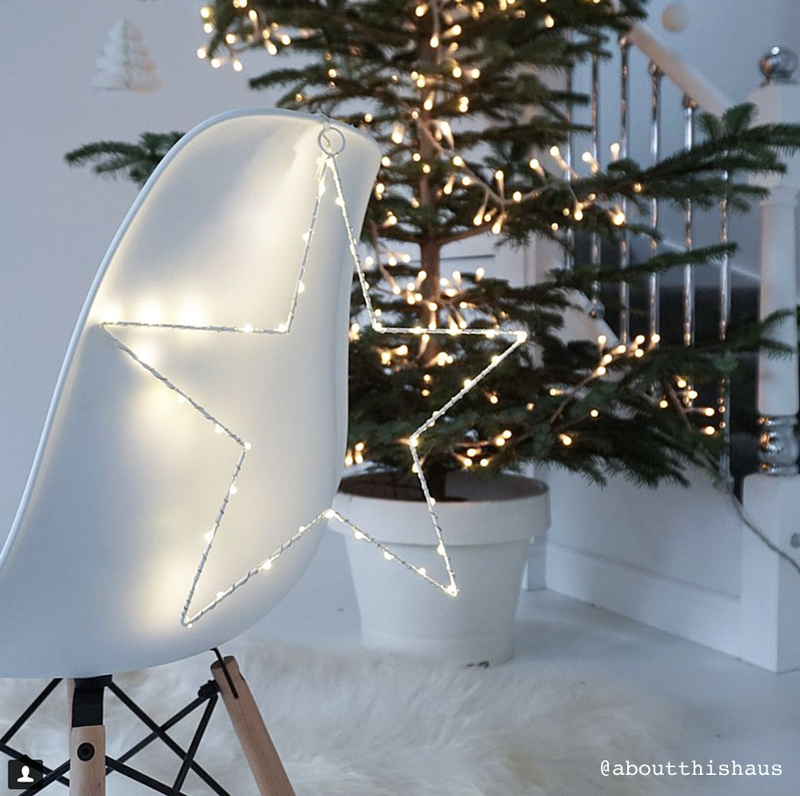 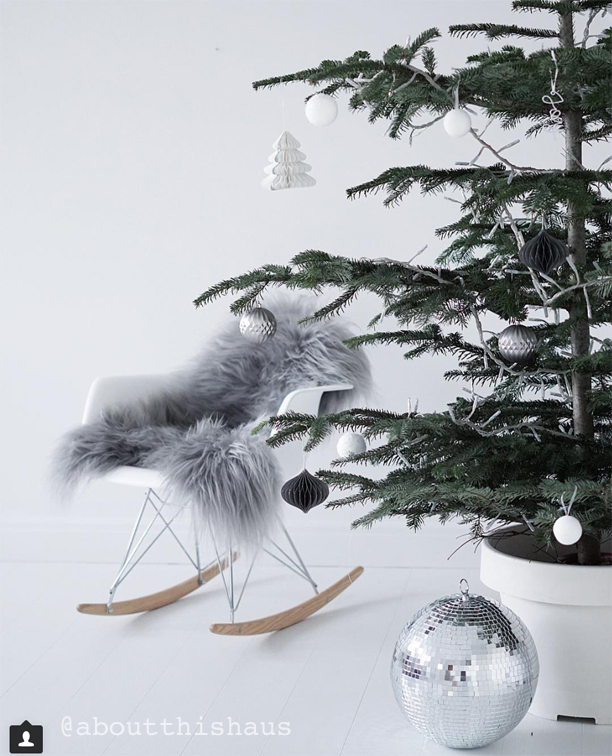 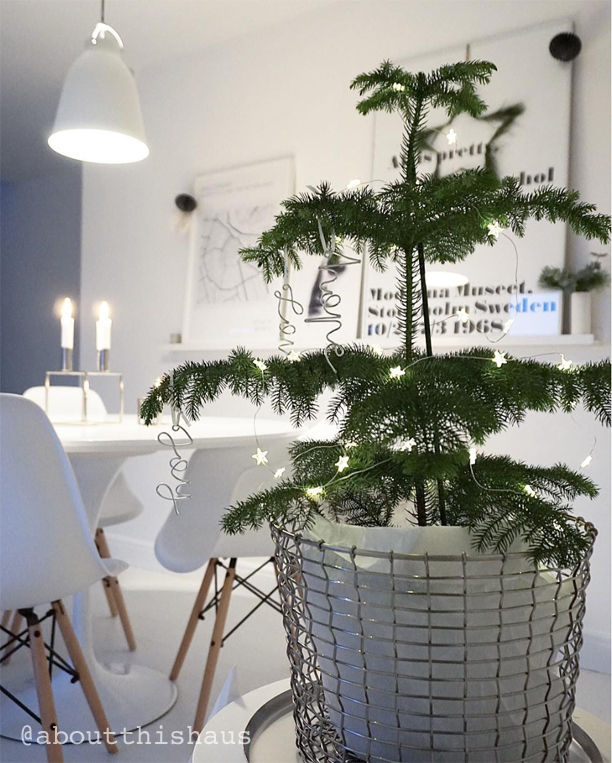 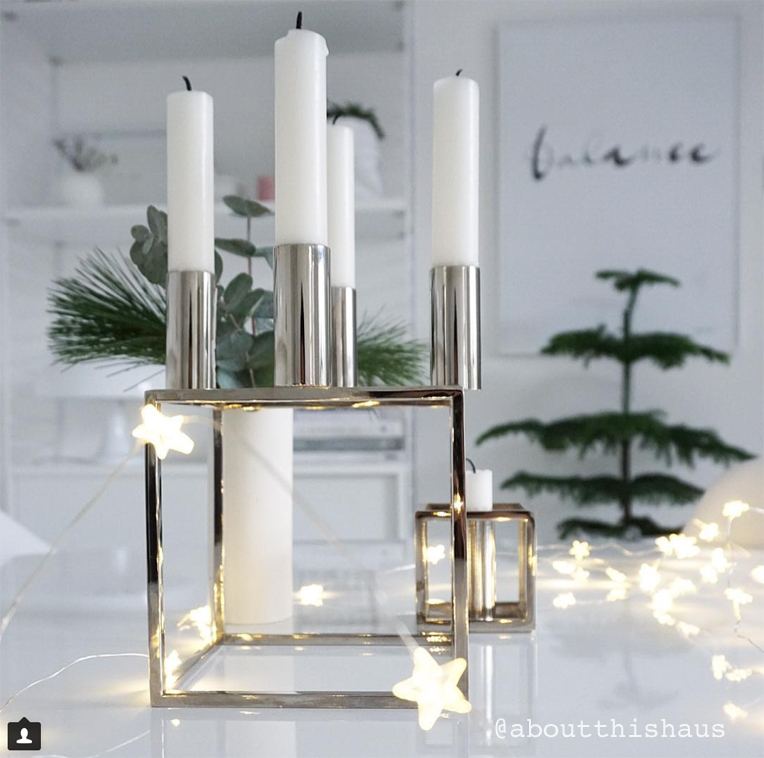 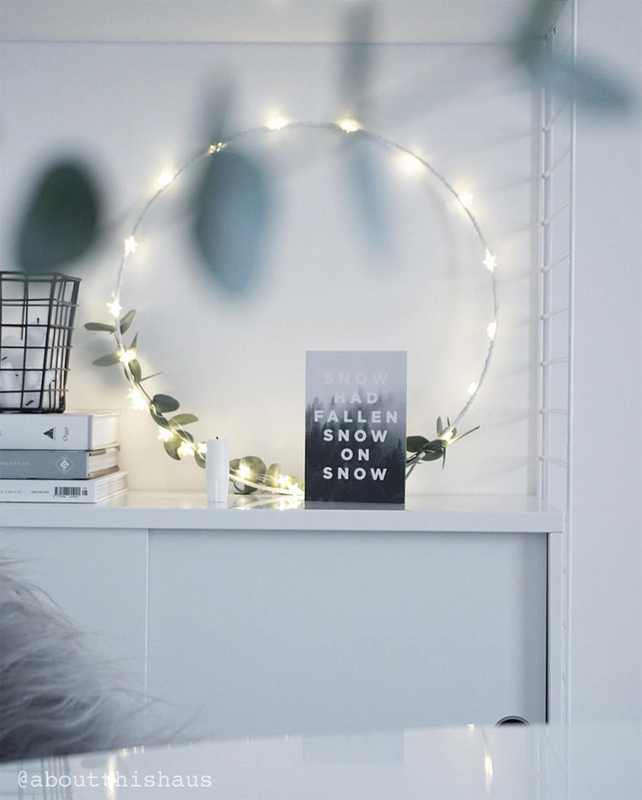 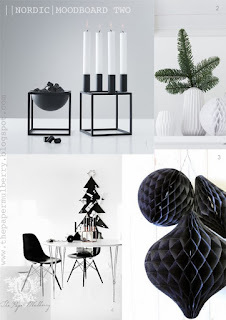 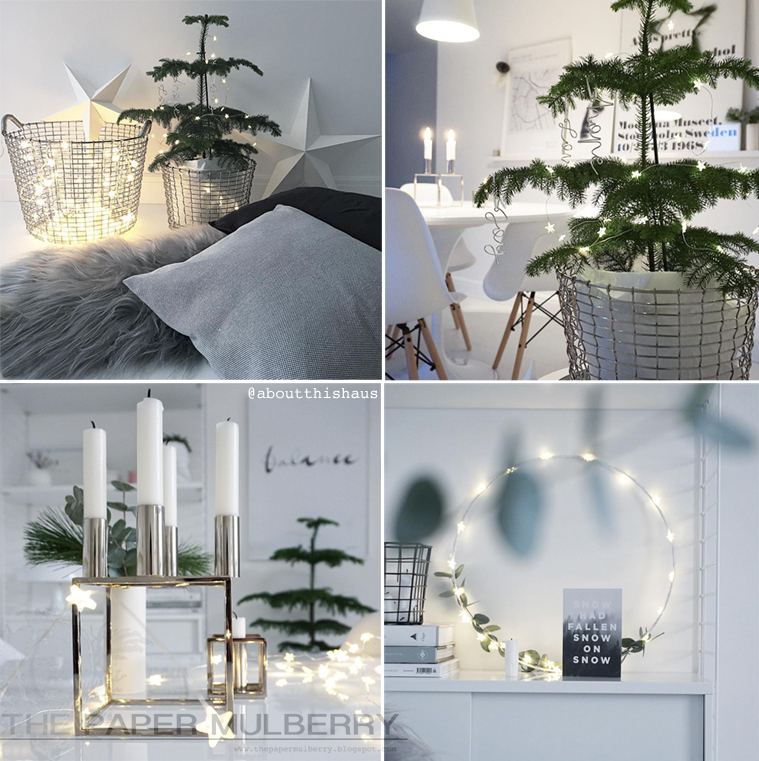 Above image: About this Haus minimalist Christmas styling: a simple oversized white star with micro lights, a fresh tree and pretty berry fairy lights with a pure white sheepskin rug by JordHome.